With these immortal words, spoken 76 years ago today, US President Franklin Delano Roosevelt committed his country to joining the Second World War. One day earlier, the US naval base at Pearl Harbour, Hawaii was devastated in an unprovoked attack by Japan that killed 2,335 U.S. servicemen and wounded 1,143 more. The Japanese believed that their surprise attack would force the Americans to withdraw their surviving ships from the Pacific region, leaving them free to conquer mainland China, the Dutch East Indies, British Malaya, and other territories. It was a spectacular miscalculation. Public opinion in the USA, which had until that moment opposed American involvement in the war changed overnight. Within hours of the attack, thousands of men and women had signed up to join the fight. The day that would live in infamy led directly to the speech that would change the outcome of WWII. 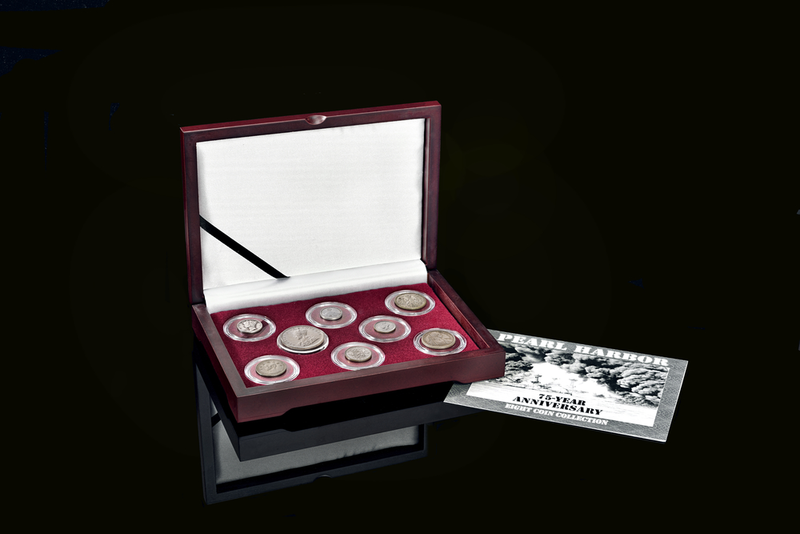 To mark this historic moment, The London Mint Office presents the Infamy Collection, a set of eight authentic coins from the Pacific region that were circulating during WWII. 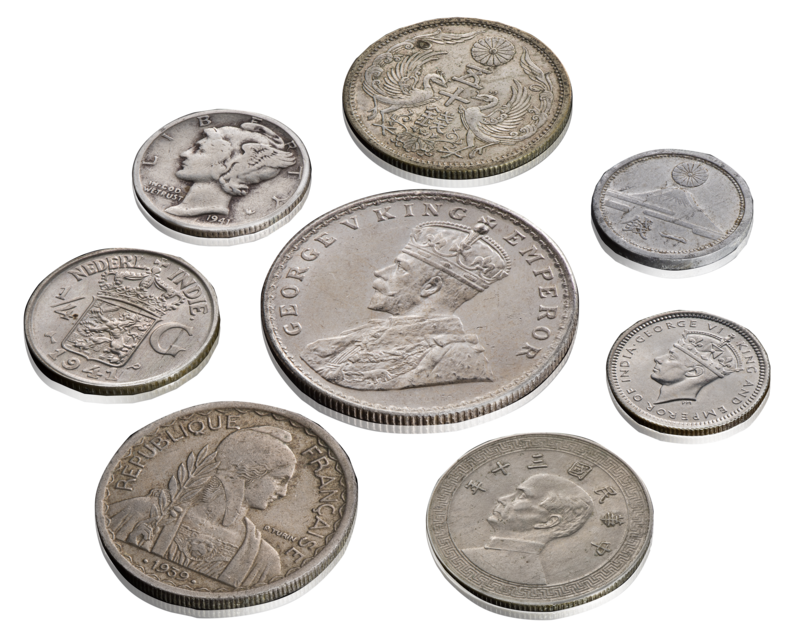 It includes a US dime and a Japanese sen issued in 1941, together with coins from China, British India, British Malaya, China, Dutch Indies and French Indo-China. Please note that due to the difficulty of sourcing fine examples from so many diverse locations, this collection has been limited to just 200 sets worldwide. We therefore invite you to act quickly to secure yours while stocks last. Imperial chrysanthemum above Mount Fuji. CHINKMY349 | 31mm | nickel | Circulating 1941..
NETIKM319 | 3.18g, 18.9mm | silver 0.7200, 0.0736 oz ASW | Dated 1941.